Made in Venice is a documentary, directed and produced by Jonathan Penson, featuring the true story of how skateboarders spent 20 years fighting to build a skatepark in Venice, California. The documentary is currently scheduled for a special screening at The Art Theatre in Long Beach, California on Thursday, December 15th, 2016 at 8:30 PM PST. 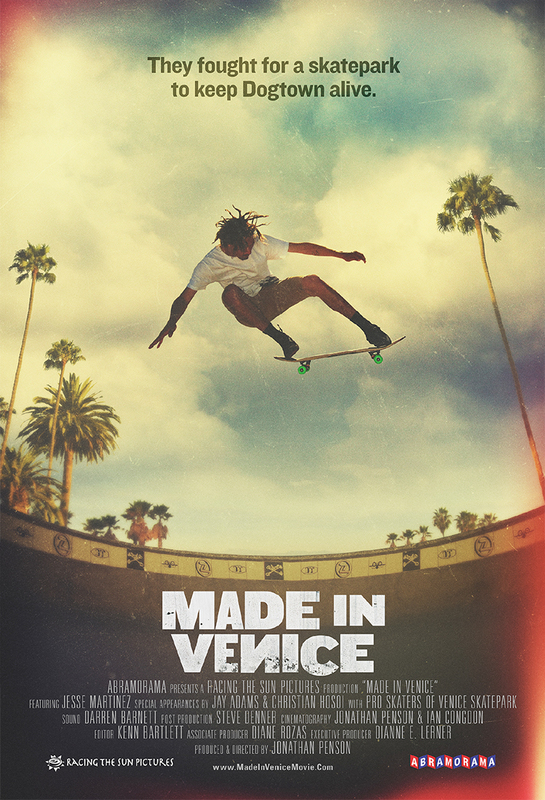 MADE IN VENICE the movie takes you on a rippin’, shreddin ride with the skateboarders of Venice from “raising hell on the beach in their teens to turning pro and putting “street skating” on the global map. But, as you’ll find out in Made In Venice, defying gravity on a skateboard was easy compared to getting a skatepark. Their biggest challenge of all wasn’t becoming skateboarding legends. It was about getting what they dreamed of … a skatepark on Venice Beach for the community, and the pro skaters of tomorrow.